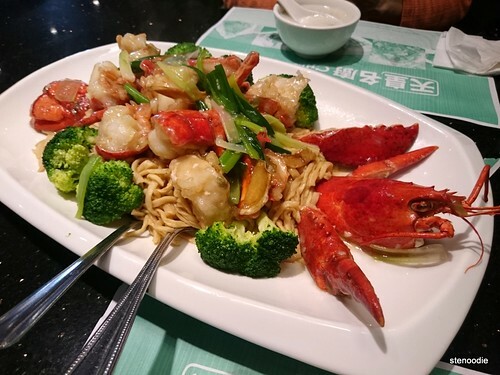 On a Tuesday afternoon, my mom and I went for lunch at Chef Wong’s at First Markham Place. This restaurant used to be another location of Congee Wong but for some reason has been renovated and changed to another congee/noodle/rice restaurant called Chef Wong instead. Mind you, the Chinese name is still the same as “Congee Wong”. What gives? 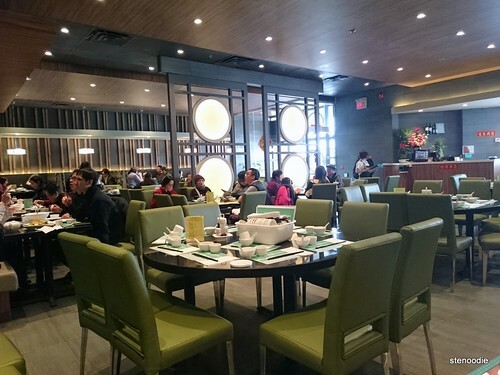 The restaurant is spacious inside with booths lining the walls. There was a bit of confusion when the server said we could take the newly vacated booth seat but it turned out to be reserved by someone else just in front of us. No matter, just a few seconds later, there was another booth that opened up too. 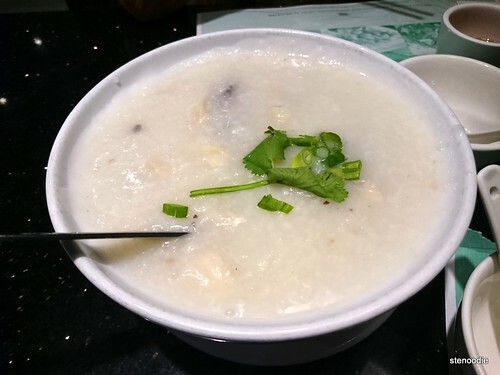 The menu contained the typical congee, rice, noodle, side dishes affair just like at Congee Wong. We ordered two dishes to share, a pig’s blood and fish congee and a plate of e-fu lobster. Yum! The bowl of pig’s blood and fish congee tasted more bland than usual and there weren’t very many fish pieces. It was decent though and enough for a clean palate. I love comfort food places like these. It’s almost always affordable, casual, simple, and fills you up. 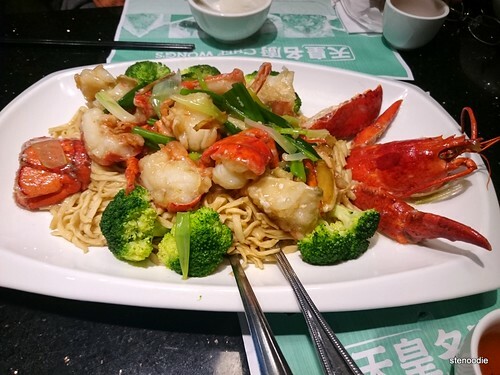 This entry was posted in Food and tagged 3235 Highway 7 East, Blood Jello & Sliced Fish Congee, Chef Wong, Chef Wong's, Chinese, congee, First Markham Place, FMP, food blog, foodie, Highway 7, Lobster with Ginger & Green Onion E-Fu Noodle, lunch, Markham, noodle, restaurant review, rice. Bookmark the permalink. I love e-fu noodles too! Love them every so often :).